Looking to add a modern touch to upgrade your current interior? 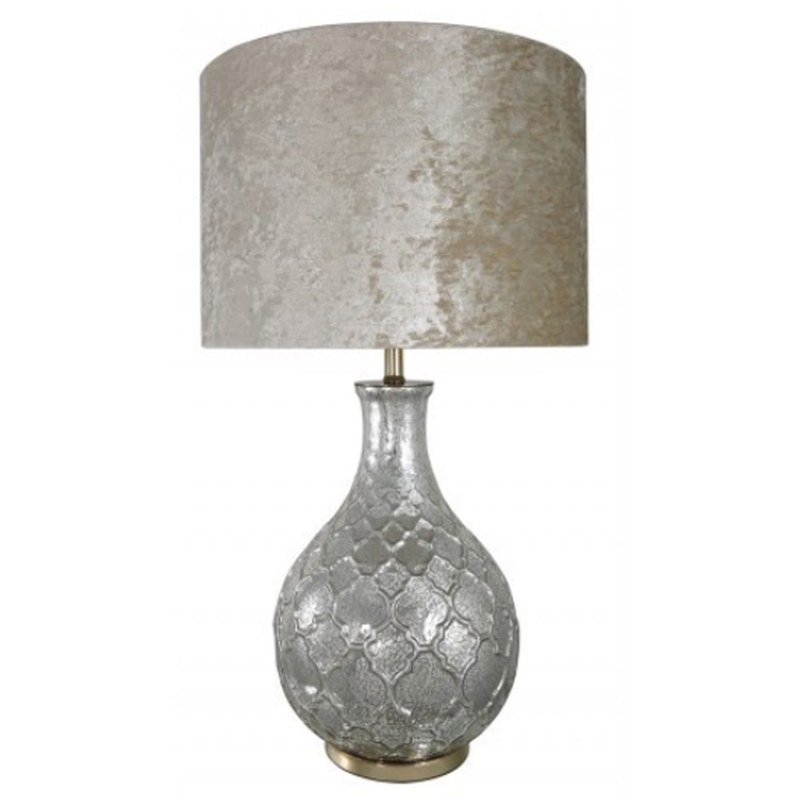 Introducing this beautiful Silver Mercury Patterned Table Lamp. With a silver mercury base that features a detailed pattered design this lovely table lamp is topped off with a champagne coloured lamp shade. A perfect addition to add to your home for an instant interior upgrade.